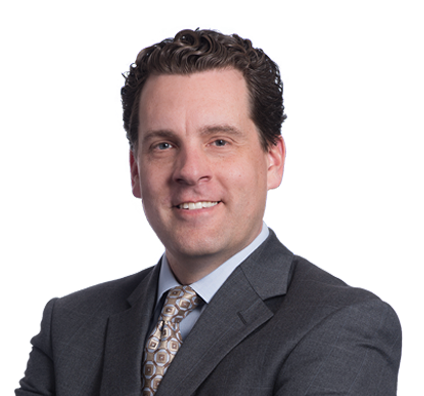 Michael concentrates his practice on general business litigation, which frequently involves complex commercial litigation and class action lawsuits. Achieving a bench-trial victory for a Canadian paper-products maker in a breach of contract lawsuit that it filed against an Illinois company. Securing a jury verdict for an appliance manufacturer in a product liability property damage lawsuit. Settling a breach of contract/breach of warranty lawsuit favorably for a Washington software company. In the insurance industry, Michael has represented healthcare insurance and title insurance companies in multiple class action lawsuits. He also has extensive experience with a full range of commercial litigation for financial industry clients. Represented Canadian paper-products company in a breach of contract lawsuit that it filed against an Illinois company. Prevailed in a bench trial, and decision was upheld on appeal. Represented a Washington software company as lead counsel in breach of contract/breach of warranty lawsuit brought against it by Kansas company. Case settled on terms favorable to client. Counseled appliance manufacturer in product liability property damage lawsuit brought by an insurance company that asserted a subrogation claim for the cost of the damage. Client obtained complete defense verdict at a jury trial. Defended a health insurance industry client in multiple complex commercial litigation cases, including an antitrust case and several putative class action lawsuits involving regulatory interpretation. Represented several financial services industry clients in multiple class action lawsuits involving the Missouri Second Mortgage Loan Act. Defended a financial services client in antitrust case relating to Internet advertising. Defended a title insurance company in several class action cases involving recording fees. Defended a retail installment lender in several multiplaintiff cases involving allegations of consumer fraud. Represented sauna corporation in a breach of contract arbitration. Obtained voluntary dismissal of all claims against client. Represent industrial production client in commercial class action matters regarding fuel surcharges.